Think Central allows students to access their Science Fusion textbook and lessons online, as well as the Go! Math (K-5) student edition, interactive student edition, and tools. 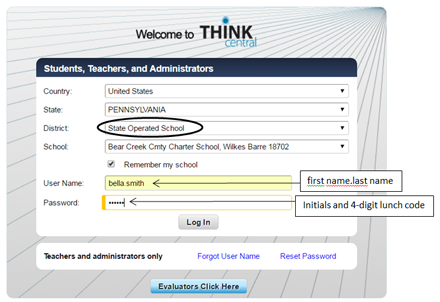 My.hrw.com allows students to access their 6th – 8th grade math materials online. Math materials accessible include: the interactive student edition, student edition and student resources. The National History Day Program aims to assist schools in meeting educational standards by encouraging student participation in portfolio-building and outcome-based learning activities. The program encourages the study of social studies by guiding students to express themselves creatively through presentations of historical topics in various formats. Encourage students to develop a sense of history as a process of change, a multifaceted development over time that affects every aspect of human life and society.